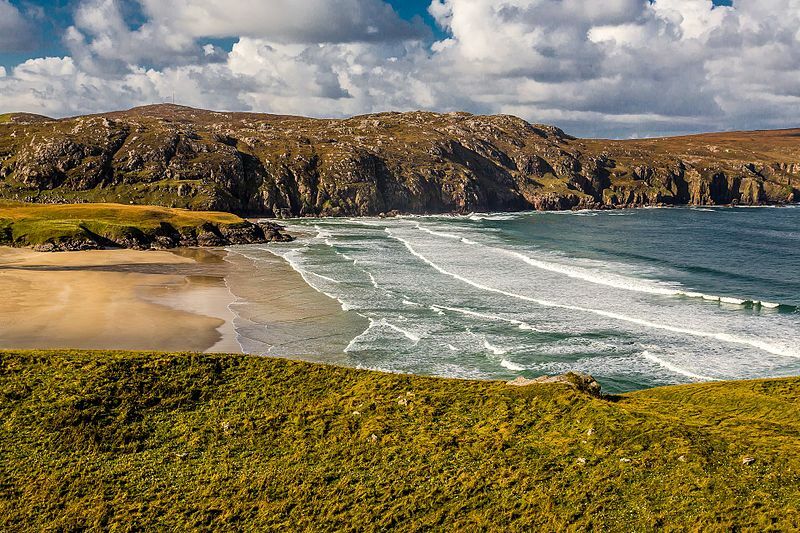 The Hebridean Islands are well-known because of their incredible scenery, wild seas and astonishing wildlife. The islands are largely unspoiled and the Isle of Lewis is no exception. And if you want to baffle a friend with a trivia question, who do these three things have in common? Yes, the Isle of Lewis is the common denominator. The Lewis chessmen were found, legend has it, by a cow. The cow story is uncertain but what we do know is that these chessmen were found in 1821 and date from the time when the Vikings ruled the island. They are carved from walrus ivory. Today, they can be seen in the British Museum and the National Museum of Scotland in Edinburgh. There are lots of stylish reproduction versions available. See examples here. The maritime disaster took place on January 1st 1919. HMY (His Majesty’s Yacht) Iolaire was transporting men who had fought in the First World War. The ship was taking them home to the Isle of Lewis. It struck the rocks when almost at Stornoway Harbour. At least 205 men, mostly local, didn’t survive the shipwreck. Because the vessel was overcrowded – and paperwork lax – it’s thought that the death toll was much higher. Almost every family on the island was affected. Today there are memorials on the island and the ghostly remains are still below the waters. Donald Trump’s mother, Mary Anne MacLeod, was born in the Lewis village of Tong. The family spoke Gaelic – English was Mary Anne’s second language. She emigrated to the USA when she was seventeen years old. Life was hard on the desolate Scottish island, especially as Mary Anne was the youngest of ten children, and she left Glasgow aboard the RMS Transylvania in 1930. Several years later, after her marriage to property magnate, Fred Trump, she was driving around Queens in her own Rolls Royce with vanity plates. WHERE IS THE ISLE OF LEWIS?